5 Volumes, 10 Issues, 24 Articles available from 2011 to 2019. 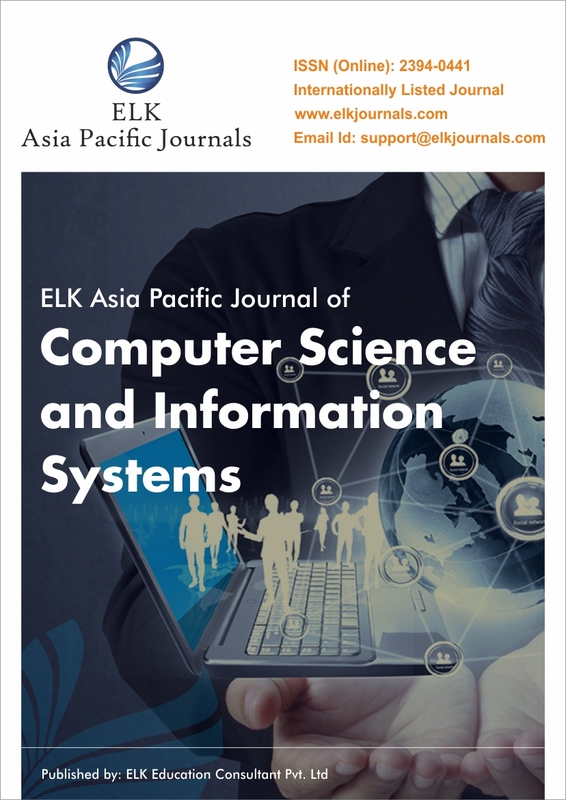 ELK Asia Pacific Journal of Computer Science and Information Systems is a scholarly, peer-reviewed computer science journal with the objective to disseminate knowledge which ensures good practice of computer systems and applications. This journal is published with four issues per year. The Advisory and Editorial Board comprises of leading academicians with thorough experience in related fields. By encouraging research and thinking, this journal attempts to publish original contributions in the field to propagate knowledge among the readers. Its focal point is on research and reflections relevant to academicians and practicing managers. This computer science journal follows the Double Blind Refereeing Process for reviewing the research papers. Its indexing at Google Scholar, Cabell’s directory, Index Copernicus and various other indexes makes it an international journal of computer science. The journal encourages both theoretical and empirical research useful to academicians, practitioners, scientists, engineers and policy makers. This computer science journal is widely acclaimed by universities and institutions through journal subscription. Being a computer science journal, it holds innovative and ground-breaking research ideas that help CS and IT scholars and academicians to advance their level of knowledge and make contribution for the same. Our subscriptions are open through a dedicated Journal Subscription form, at a reasonable price. We target to bring quality information for policymakers, academicians and research scholars working in the respective domain.